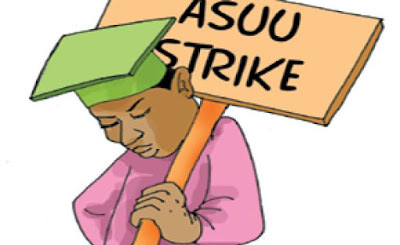 open office holders from sending their children/wards to think about in tertiary institutions abroad as a measure towards tuning down the spate of strike activity by the Academic Staff Union of Universities (ASUU). He said the way that most best positioning authorities of the Nigerian government had their children considering abroad clarified the absence of duty with respect to people with significant influence to address the waiting issues that prompted the mechanical activity by the lecturers. The cleric decided at the Bishop's Episcopal charge amid the third Session of the Seventh Synod of Uyo Diocese, noticing that such law will help maintain the enthusiasm of Nigerian leaders in the education sector. The unending close down of our tertiary institutions due to non-installment of remittances, among different requests, should make our government to authorize a law/policy that will deny open office holders from sending their children/wards to ponder abroad. "That will enable them to work towards updating and settling the education framework. There ought to be a difference in heart by Nigeria's leaders to educational improvement," he said.